2014 release from the German Electronic pioneers. 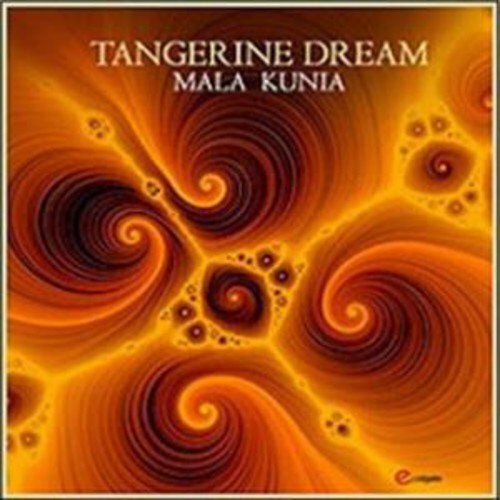 MALA KUNIA is the first compositional work by the new line-up comprising Edgar Froese, Ulrich Schnauss, Thorsten Quaeschning and Hoshiko Yamane. Though classified as an EP, this disc has a running time of nearly 55 minutes - longer than most artist's albums! MALA KUNIA is the first product out of "The Quantum Years" series and is named after two Aboriginal tribes - according to Aboriginal mythology - living ages ago around Uluru, also known as Ayers Rock, whereas the Mala tribe lived on the sunny side and the Kunia on the shady side of the rock.